Dear Comic Fans: We Get it. You’re racist and racebending scares you. **And further readings on Race and Media for the weekend include a description of harassment in the Art world, for speaking the truth, which is important to me because I’m an artist. This ties into America’s general belief that History was all White, and that PoC played no part in European History at all. As Dr. Who said, “History has been whitewashed!” And yes, I blame Hollywood, and America’s general historical ignorance. It’s this ignorance of the part PoC played throughout every era of human history that leads to cries of “Historical Accuracy” every time a Black person wanders into the orbit of, not just historical films, but any Fantasy films that have a foundation in European folklore. **And on Race and Fandom Wankery…Stop It! Fandom is every bit as racist as non-geek culture, but Klandom thinks it’s better at disguising it. There has also been some confusion about patterns of implicit racism vs calling individuals racist. Thinking that you are personally being called out on your racism is basically the Racism 101 approach to this topic, because we’re not talking about individual people, although individuals may be used as examples of what were drawing attention to. The discussion that PoC and LGBT people are having is from the 401 Class, and seems to be over quite a few people’s heads. We’re discussing patterns of behavior across multiple platforms. We’re not talking about a handful of bigots, writing stories we don’t like, but about hundreds of people across fandom engaging in the same behavior, and then making the exact same excuses for their behavior, over and over again. We are supposed to be the most progressive and transformative community in pop-culture. And then we wonder why mainstream media is so regressive, especially compared to us. We all talk as if mainstream media creators are behind the times. Fandom likes to imagine itself as being progressive because of all the slash – a mechanism of progress which conveniently boils down to extra attention on overwhelmingly male (and overwhelmingly white) characters. This form of progress is one which takes a minor deviation from the social norm (homosexuality), only to end up ultimately supporting or even amplifying the status quo, by virtue of over-focusing on male characters (and over-representing white ones in the process). Strip back that gay window dressing, though, and you’ll see that at best, fandom is just as socially stagnant as mainstream media and mainstream culture – or even worse, by virtue of engaging in media that overwhelmingly sidelines several other marginalized groups in order to prop up one. Professional women have long known the old adage, “Whatever women do they must do twice as well as men to be thought of half as good.” What no one seems to realize is that fandom is still doing exactly the same thing. We expect female characters to be twice as good for half the acclaim, we expect characters of color to be three times as good for a third of the acclaim, and we let white, male characters be only a quarter as good for four times the acclaim. Mainstream media is keeping up with the times and with social progress just fine, it’s us who’ve deluded ourselves into believing that we, as a community, are more progressive than we actually are. **And on Hollywood Erasure. 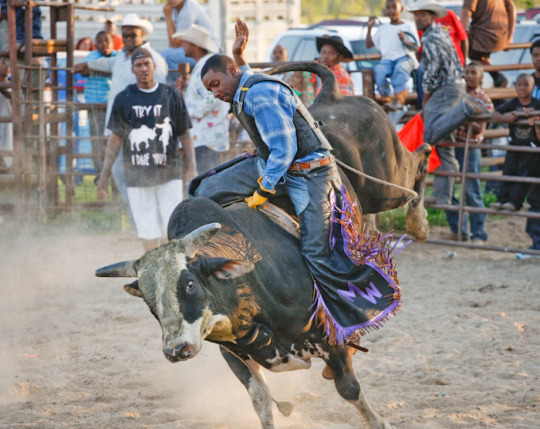 This topic is especially interesting to me becasue I know there were Black cowboys. When Slavery ended, a lot of Black people fled West, rather than North, which is how and why there are so many black people in places like Minnesota, Oklahoma, California and a huge Black population in Texas. 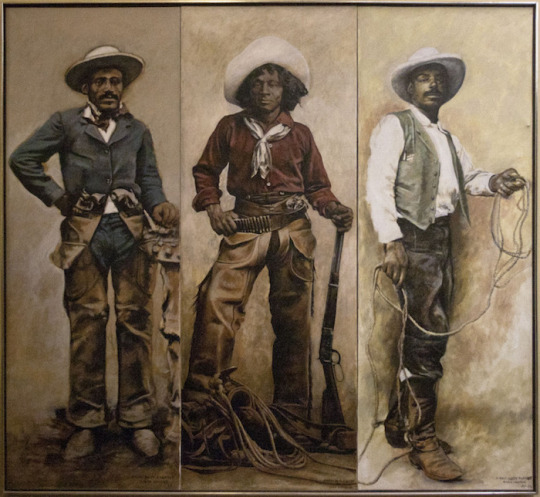 I know there were Black Cowboys (and many many Mexican ones) but this is something most Americans don’t no about due once again to Hollywood Whitewashing. The remake of the Magnificent Seven is a lot more historically accurate than the original. Although the reception of that movie proves one more thing to me, that Denzel Washington can make whatever the Hell movie he wants, and no one will criticize him for historical accuracy. Apparently, he belongs in any era he wants. The LIT History Series is for the Legends, Innovators and Trailblazers that have shaped our culture. 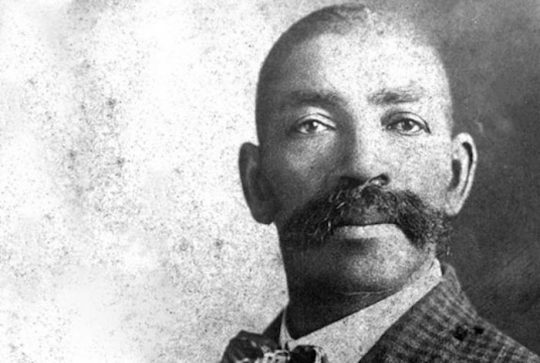 It is widely believed that the “Lone Ranger”, the famous cowboy of the TV show and the movie, was inspired by a Black man named Bass Reeves. 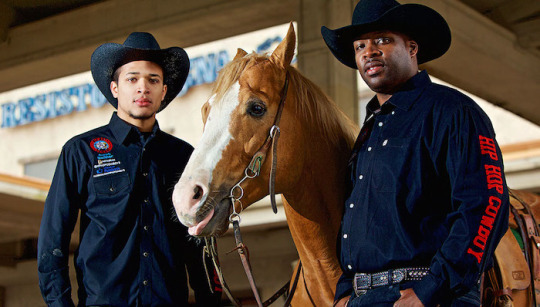 And black cowboys are still here, they do exist. That’s a huge part of history that was also erased from the history of America. We need to bring attention to this, because it’s unfair that black people along with other people of color have been erased from this narrative. You know the first time I ever saw a black cowboy depicted in a movie, because according to Hollywood and those who don’t know American history they didn’t exist, in Antoine Fuqua’s 2016 remake of the Magnificent Seven (The Seven Samurai). SMH. I’d seen some others before that. Danny Glover was in Silverado, I think, and Morgan Freeman starred as a gunman in a movie with Gene Hackman called Unforgiven You gotta see that one. 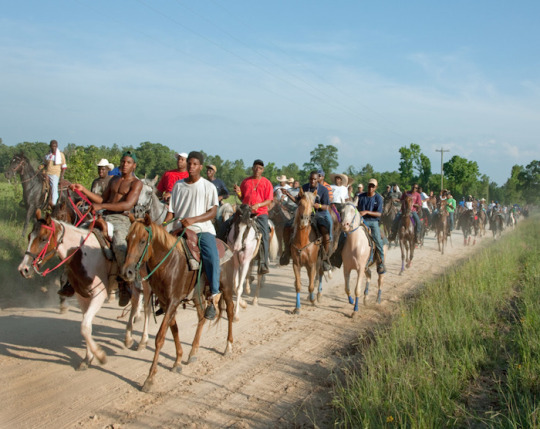 There’s also Cleavon Little from Blazing Saddles Jamie Foxx from Django Unchained, and the entire movie called Posse. 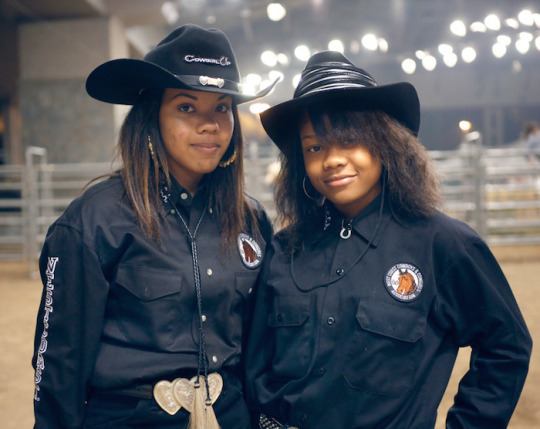 There’s even a black cowgirl movie I reviewed two years ago, called Gang of Roses, which wasn’t too bad. Even Harry Belafonte starred in a cowboy movie called Buck and the Preacher with Yaphet Kotto. Okay now I need to do a post about all these. Y’all quit giving me idears! I’ve never seen Silverado, but I remember seeing Posse as a kid. Mario Van Peebles directed, and it totally skipped my mind. Django Unchained is the only slavery-themed movie I truly enjoyed, and you are correct his character is a cowboy because it’s a spaghetti western. I’m going to look for Buck and the Preacher, and Unforgiven.